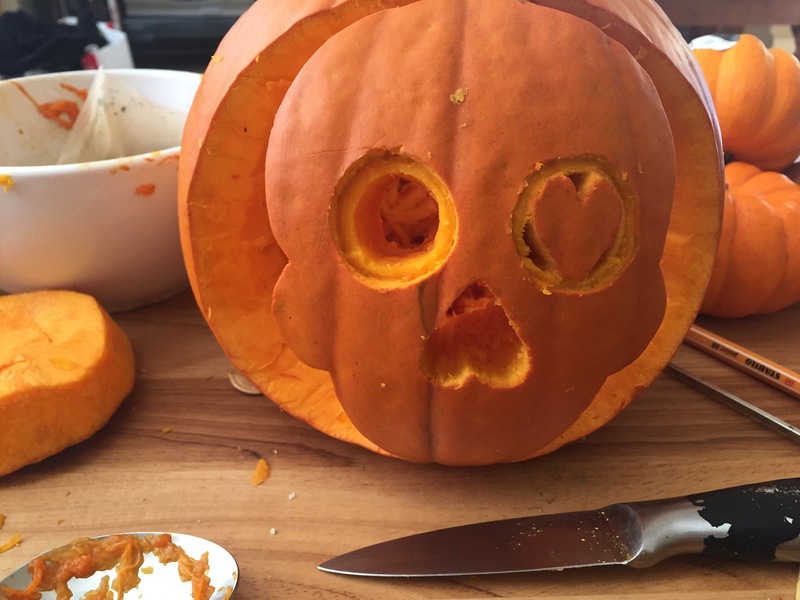 I love a good pumpkin carving session, and every year I aim to try out new things. 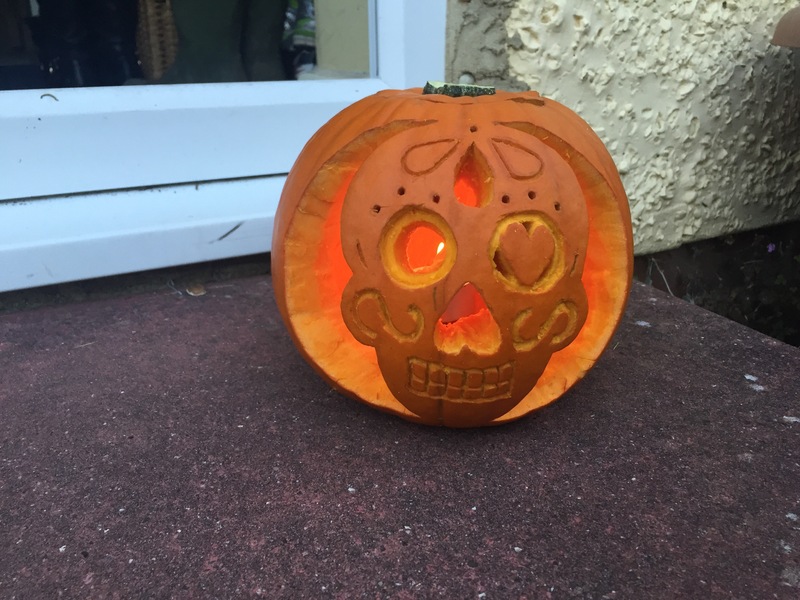 My first one this year was based on the Mexican Day of the Dead Sugar/Candy Skulls, and, although there aren’t many photos here, you can see how I managed it below. 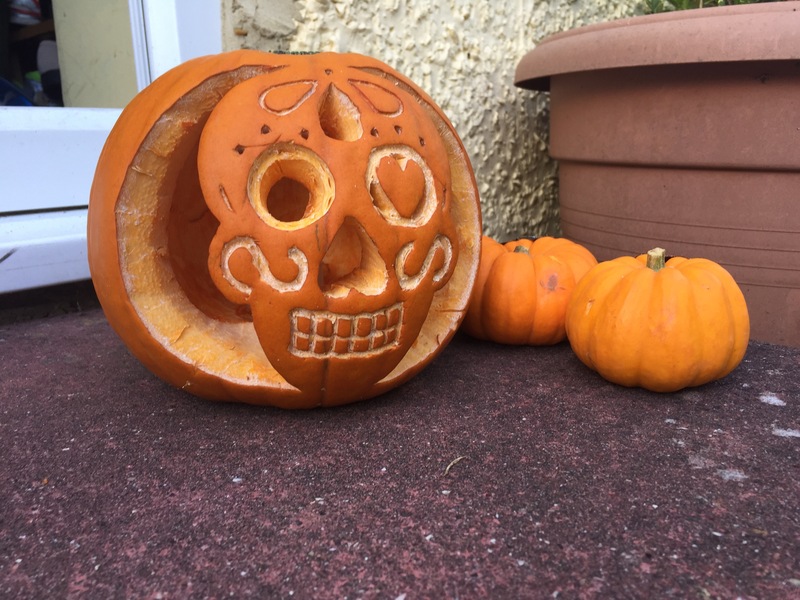 All I needed was a template from which to work (thank you Google image search), a pen to mark out the design, a small, sharp knife, a metal kebab stick for some finer details, and hey presto, we have a sugar skull pumpkin! For me, the idea with this was to have areas fully cut out as well as some only slightly carved, just for a layering effect. The design is even more effective the day after when the exposed areas have dried. 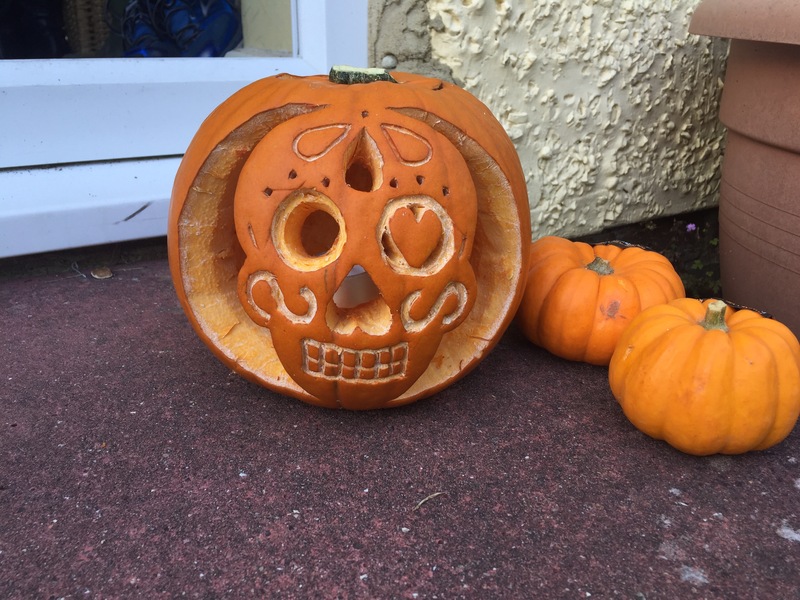 What’s your favourite pumpkin carving design?